Depression is a real problem nowadays for a great number of people. One of the frequent reasons for depression is obesity. Some try to solve the problem by themselves, others go to psychologists, a lot of suffer silently. Depression is also treated with antidepressants. For some people they work, for others – do not. Still, there are a great many of antidepressant products in the market. However, the drugs aimed at both treating depression and loosing weight are not so easy to find. Any such medications are better to take with prescription and doctor’s advice. There are certain recommendations for those who want to use antidepressants to lose weight. First in the list of antidepressants with a weight loss effect is bupropion. According to the recent research it allows to shed about 4.4 kg if administered for a period of 6 to 12 months. Still, it can be not that effective for depression treatment. Another antidepressant, addrerall, is used as a weight loss medication. At the present moment it is more frequently used for attention deficit disorder (ADD) treatment, which is frequently met among children. It is also recommended to be very careful while taking the drug as it is fraught with developing addiction to the drug. Therefore it is advised to get a proper consultation from a doctor before taking any of these drugs or any antidepressants in general. 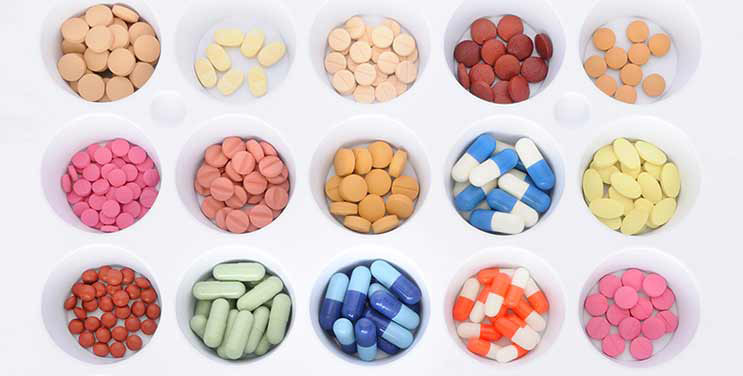 Why antidepressants are used as weight loss medications? They are able to increase metabolic rate which leads to weight loss to certain extent. Thyroid gland activity is linked to this process. It is responsible for loosing and gaining weigh. Taking antidepressants evokes the thyroid gland function in the speed-up mode (it starts to secret hormones much quicker) and therefore metabolic rate increases. Consequently, fats are burnt faster and a person looses weight. There are two dopaminergic antidepressants – pramipexole and selegiline and they work by decreasing a hormone prolactin. When prolactin reduces, the output of the thyroid glands increases. In the result metabolism increases and weight is being lost. Reboxetine helps to reduce hunger and keep food cravings at bay. A person who takes this antidepressant eats fewer calories, which allows losing weight. The administration of this antidepressant increases the levels of norepinephrine (the neurotransmitter), which is responsible for appetite reduction. This antidepressant also helps to put a stop on such cravings as for ice creams, cookies, pastries and other carbohydrate-rich foods. However, there are a lot of antidepressants that are able to evoke weight gain. They are fluoxetine (prozac), paroxetine, and lexapro. Make sure you know about their side effects before you start the administration. More physical upload throughout the day increases the levels of energy. Also it leads to more calories burnt. Also, as it has been aforementioned, by usage of antidepressants norepinephrine and dopamine levels in the body. These effects lead to weight loss as well. Antidepressants have got the FDA approval for treating depression only and not any other disorder. Therefore all other uses of them as means of weigh loss are called “off-label” and can be dangerous and require compulsory consultation with a health care provider. They may have weight loss effect but it is no advised to use antidepressants only in the purposes of weight loss, this is not incidental that their primary aim is depression treatment. You can only harm yourself if administer them “off-label”. Weight loss and antidepressants are frequently discussed together. Perhaps, because the former is often is the reason of the latter. These drugs are not initially presupposed for weight loss. It is better perhaps to start a different lifestyle, change eating habits and begin to work out. If this does not work and you still think of antidepressants as a way out, go and check your options in order not to harm your organism.